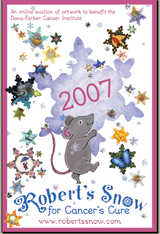 If you read children’s literature blogs, you’ve heard all about Robert’s Snow and the big blog event surrounding it. But in case you’ve missed the news, here’s the lowdown, courtesy of the indefatigable Eisha and Jules at Seven Impossible Things Before Breakfast. snow. The story was inspired by Robert’s battle with Ewing’s sarcoma. 19 to 23, November 26-30, and December 3-7. You can read here for more information. 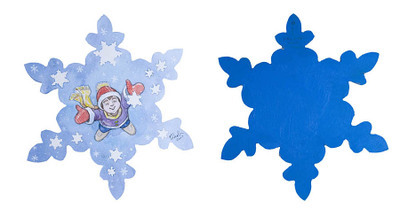 But starting today — and lasting for over one month until the day before the auctions — over 65 bloggers will be highlighting some of the snowflakes and the illustrators who created them…. I am delighted to say I’m one of the bloggers who’ll be featuring snowflakes. I am even more delighted to say that the illustrators whose work I’ll be featuring are two of my favorite illustrators ever: David Macauley, author of—oh, you don’t need me to tell you this, but I will anyway, because it’s so exciting—The Way Things Work, City, Cathedral, Castle, Pyramid, and so many other amazing books; and the enchanting Timothy Bush, whose picture book James in the House of Aunt Prudence makes my family’s best-of-the-best list. Grace Lin, featured by Becky Bilby at In the Pages . 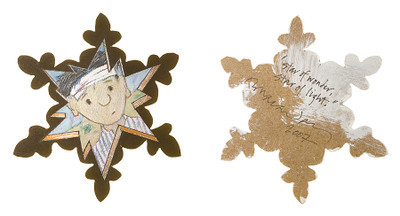 . .
And keep checking in at SevenImp all week for a new round of snowflake features each day. Or visit Jen Robinson’s Book Page for a sidebar listing of the entire week’s Robert’s Snow schedule. This is going to be a very exciting event! Would you like to receive my blog posts in your inbox? For daily delivery, click here to enter your email address. We love our Creativebug subscription! affiliate sales will go toward the maintenance of this website and the purchase of more books. Header image: detail from “Cosy Corner” by Carl Larsson.